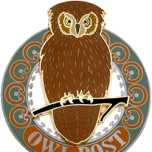 We're glad you received your Hogwarts letter via Owl Post. Please feel free to browse around and get to know the others. If you have any questions please don't hesitate to ask. Welcome to The Wizarding World | Harry Potter Fan Forum! Welcome Muggle - PLEASE READ and START HERE! About Us: Why a Harry Potter Forum/Community?